SOLIDWORKS Simulation and solidThinking provide simulation tools to test your designs in real-world conditions and make decisions to improve quality. SOLIDWORKS Simulation Professional adds to SOLIDWORKS Simulation Standard more powerful and sophisticated simulation capabilities, to help you answer engineering challenges with complex load scenarios and multi-physics solutions. SOLIDWORKS Simulation Standard gives you an intuitive virtual testing environment for linear static, time-based motion, and fatigue simulation, so you can answer common engineering challenges with a SOLIDWORKS 3D CAD embedded solution. SOLIDWORKS Plastics Premium is for advanced CAE analysts and mold designers. It includes everything in SOLIDWORKS Plastics Professional plus advanced simulation functionality that allows users to analyze mold cooling line layouts and predict molded part warpage. SOLIDWORKS Plastics Professional is for mold designers and mold makers. It includes everything in SOLIDWORKS Plastics Standard plus the ability to estimate cycle time, clamp tonnage and shot size, plus you can optimize feed system design. SOLIDWORKS Plastics Standard optimizes plastic parts for manufacturability during the initial stages of product design. SOLIDWORKS Sustainability enables designers and engineers to perform real-time environmental assessment as part of the product design process. SolidWorks Flow Simulation takes the complexity out of computational fluid dynamics to quickly and easily simulate fluid flow, heat transfer and fluid forces. Altair Inspire Cast offers complete casting simulation in 5 easy steps through a highly intuitive user experience, catering to beginners and experts alike. 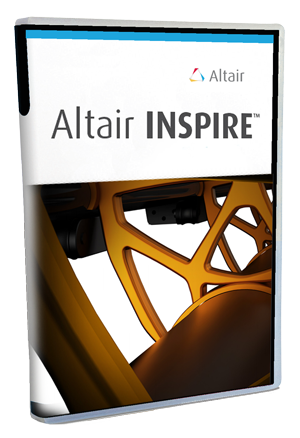 Altair Inspire Form allows users to better design products while reducing lead time by enabling early consideration of formability, process parameters, material utilization and cost. Altair Inspire Extrude Metal allows users to enhance and optimize the extrusion process to drastically improve productivity and quality. Altair Inspire Extrude Polymer allows users to enhance and optimize the extrusion process to drastically improve productivity and quality. 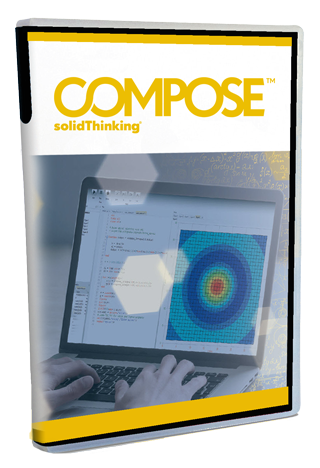 Altair Compose provides engineers, scientists, and product creators with a high level, matrix-based language as well as an interactive & unified programming environment for all types of math operations. Learn the basics of Finite Element Analysis (FEA), covering the entire analysis process from meshing to evaluation of results for parts and assemblies. Explore SOLIDWORKS Flow Simulation videos, white papers, guides and case studies.